What 2D/3D engines and game development SDKs are available that run natively on Ubuntu? Please limit one engine/sdk per answer - and include why you enjoy the engine/sdk. V-Play provides reusable components for handling multiple display resolutions and aspect ratios, animations, particles, physics, multi-touch, gestures, path finding and much more, allowing you to prototype and build games in just days. V-Play also comes with ready-to-use game templates for the most successful game genres including tower defense, platform games or puzzle games. Just replace graphics and sounds with your own and you're ready to publish your own game! Simple DirectMedia Layer is a cross-platform multimedia library designed to provide low level access to audio, keyboard, mouse, joystick, 3D hardware via OpenGL, and 2D video framebuffer. It is used by MPEG playback software, emulators, and many popular games, including the award winning Linux port of "Civilization: Call To Power." SDL supports Linux, Windows, Windows CE, BeOS, MacOS, Mac OS X, FreeBSD, NetBSD, OpenBSD, BSD/OS, Solaris, IRIX, and QNX. The code contains support for AmigaOS, Dreamcast, Atari, AIX, OSF/Tru64, RISC OS, SymbianOS, and OS/2, but these are not officially supported. SDL is written in C, but works with C++ natively, and has bindings to several other languages, including Ada, C#, D, Eiffel, Erlang, Euphoria, Go, Guile, Haskell, Java, Lisp, Lua, ML, Objective C, Pascal, Perl, PHP, Pike, Pliant, Python, Ruby, Smalltalk, and Tcl. 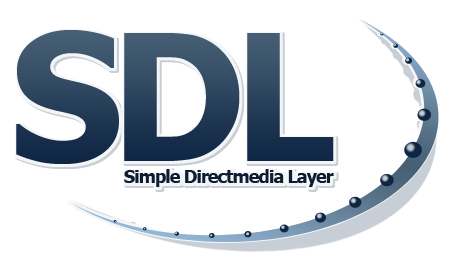 SDL is distributed under GNU LGPL version 2. This license allows you to use SDL freely in commercial programs as long as you link with the dynamic library. This is one of the most professional Open Source 3D engines available. It is a bit difficult to set up, but it is rather powerful. The standard API is in C++ but there are bindings for several other languages. More info at the OGRE Wiki. It has a C++ interface too and it's quite powerful. There might be some Ubuntu packages in a PPA available, but i recommend to download the source code and build it manually. Python & C++ interface. Quite a tool. Stencyl is a 2D game engine/creator. It has an easy to use drag and drop method to design your games. It is suited for non-coders with basic programming knowledge and also has a code editor for advanced users. It has a native version for Ubuntu (requires the non-free JVM). You can make your games on Ubuntu and publish for iOS, Android*, Flash, HTML5*, Windows and Mac (* as of Stencyl 3.0). The full featured free version is available for download and can publish to 'Flash'. Not the answer you're looking for? Browse other questions tagged application-development games 3d 2d or ask your own question. What Game engines and game libraries are available for ubuntu? What new games are available for Ubuntu in 2011? Will “Oilrush” be available for purchase from the Software Center? What gaming resources for ubuntu(or gnu/linux in general) are there? Which free 2D game engine for Ubuntu is the best choice for me? How to publish Unity Game Engine app (executable binary) to Ubuntu Store? How to run Android studio on ubuntu 17.04?